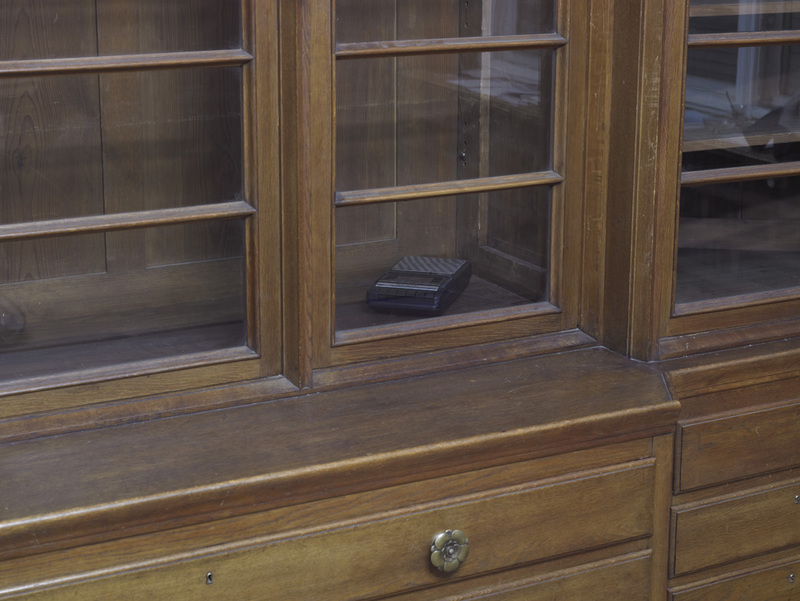 Susan Philipsz, »Safe«, 1994, installation detail. 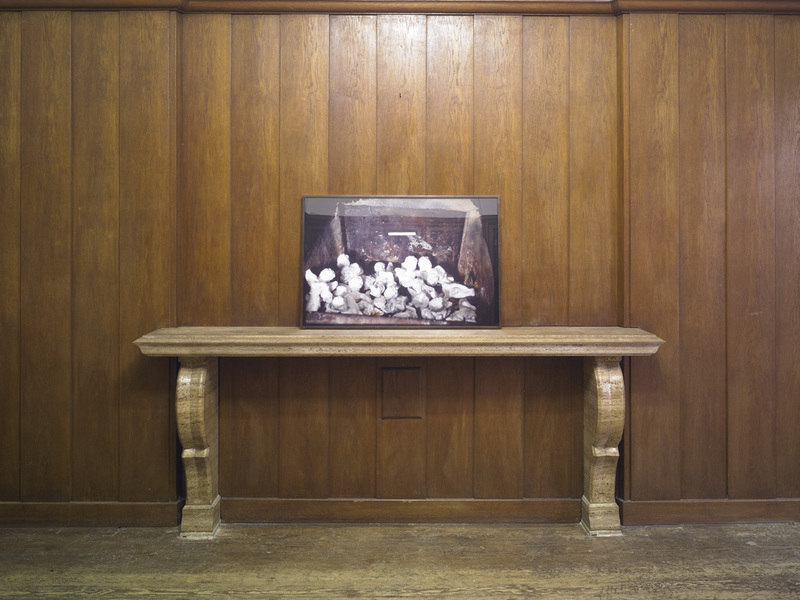 Two channel sound installation, photograph. Susan Philipsz, »The Cuckoo’s Nest«, 2011. 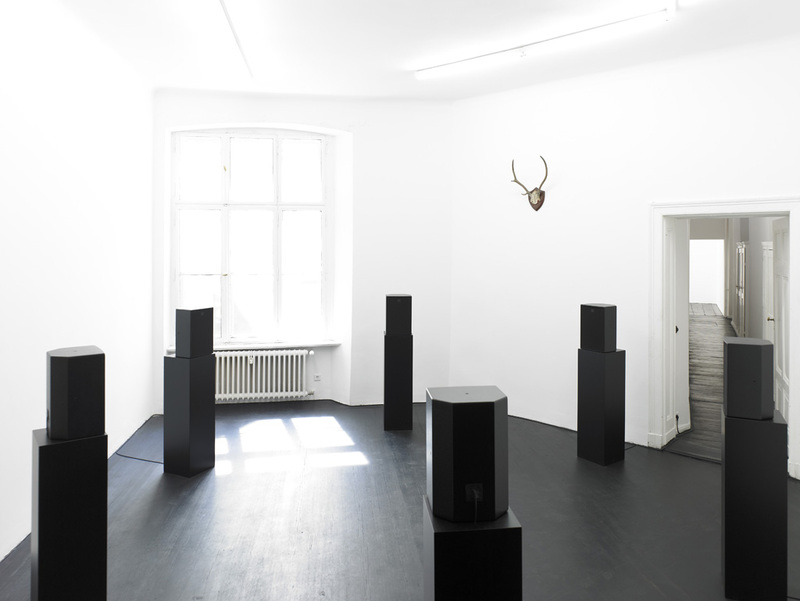 Six channel sound installation, animal horns, dimensions variable. Susan Philipsz, »False True Lovers«, 2011. 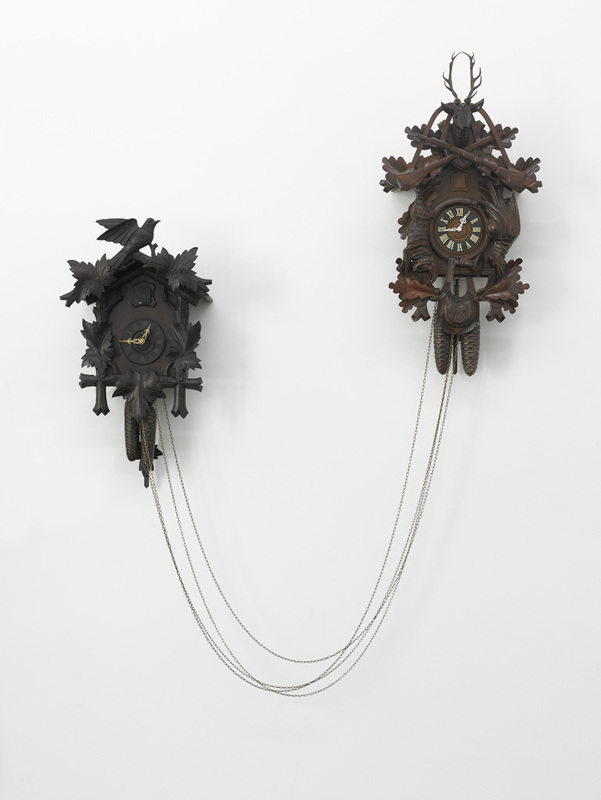 Two antique cuckoo clocks, dimensions variable.